A warmly welcome from Kigoma Ujiji. Thank you for taking time to explore opportunities in our bustling Kigoma Ujiji. development and lucrative opportunities for investments. forceful momentum as we set ourselves for continued success. friendly services to our people and businesses. We are targeting a $500 million city economy by 2020, and $1 billion by 2025.
sectors. This booklet is just to give you a glimpse of such opportunities. part of this transformation story. 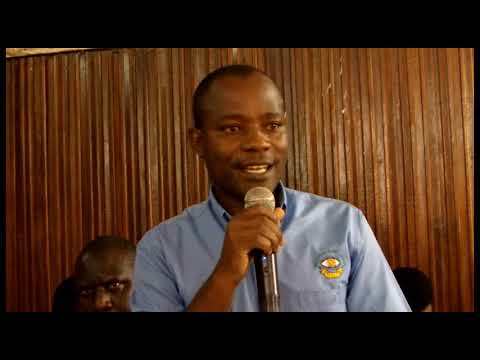 KIGOMA UJIJI Municipality is set to undergo rapid Economic Transformation of this century. Municipality. This is no small feat, but Kigoma Municipality is ready and open for business. Kigoma Municipality is strategic located in the heart of the Great Lakes region. businesses looking for growing market and youthful workforce. largest and well planned development in the entire German East Africa territory. past through a comprehensive masterplan for a controlled urban development. future where businesses strive, jobs are created and social services are optimized. Auction and that will make doing business in Kigoma more competitive. and Malawi through a southern highway passing through Tabora. and busiest port on L. Tanganyika, connecting Tanzania, Burundi, DRC and Zambia. scheduled flights at Kigoma airport. power production are also available in both oil palm and paddy processing. government commitments in action plans, in partnership with civil society organizations. the accountability mechanism for its performance in good governance. to improved conditions for sustained business growth and investment in Kigoma. development and poverty reduction at the local level. selected value chain and to unlock the flow of investments into the local economy. development and (iii) local business cluster.